A Lurgan man who forgot to put up the ‘R’ plates on his car was fined £60 for the offence last Wednesday’s sitting of Craigavon Magistrates Court. 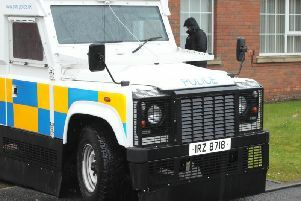 Robert Duffy, whose address was given as James Street, Lurgan, was driving at Monbrief Walk without displaying ‘R’ plates on March 26 this year. His lawyer said that he had simply forgotten to put them up before getting into the car.